Iranian President Mahmoud Ahmadinejad said Saturday morning that the resistance of Founder of the Islamic Republic Late Imam Khomeini and the Iranian nation has made the nations vigilant and awakened, reported Iran’s state agency IRNA. 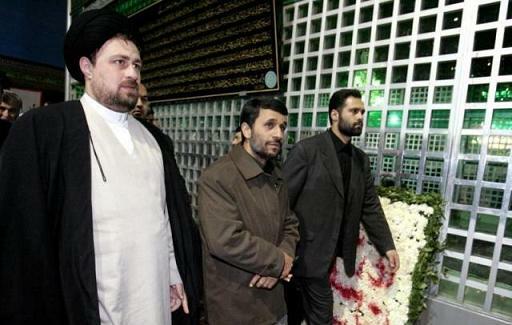 Ahmadinejad’s remarks came as he paid tribute to Imam Khomeini along with cabinet members and Sayyed Hassan Khomeini in southern Tehran on the occasion of the 33rd victory anniversary of the Islamic Revolution. “Without any doubt, the viewpoints of Late Imam Khomeini were global,” the Iranian President noted. He reiterated that the Late Imam Khomeini regarded saving mankind as a universal mission.